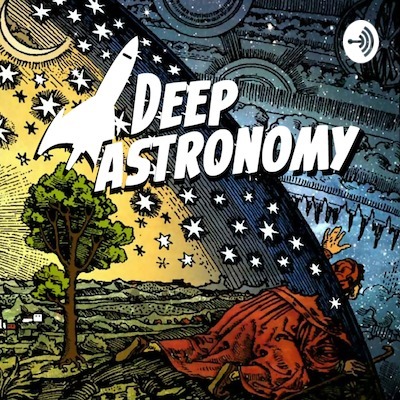 Welcome to Deep Astronomy, a podcast dedicated to helping us understand our place in the universe. Just How Fast is the Universe Expanding EXACTLY? ...and how do we know this? Life in the Universe? We May Be It! I'm not convinced that life is everywhere in the cosmos. It is entirely possible, based on what we know today, that we are the only life there is. Anywhere. This episode is a brief discussion of that idea. Welcome to the first in a series of monthly discussions about topics in astronomy with Carol Christian, a colleague and friend of mine that has cohosted Astro Coffee Hangouts with me for years. This month we talk about what it's like for women in science. Why aren't more qualified women in science? What are the obstacles? Astronomy’s Future Will Be Built: New Capabilities to Assemble in Space the Largest Observatories. Scientific performance of telescopes depend strongly upon the observatory’s aperture, its capability to collect faint light. Eventually, the challenging goals of astronomers will require telescope mirrors larger than can be deployed in space without the capability to assemble them, either with astronauts or with robots, enabled by the decreasing cost of commercial launch vehicles. 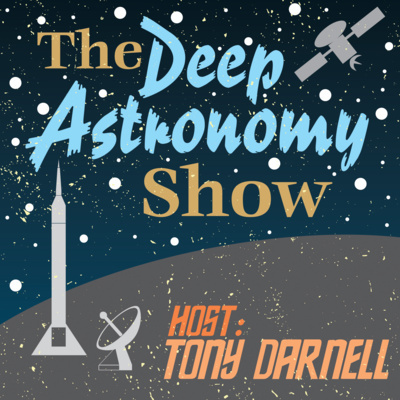 Join Tony Darnell as he discusses the promise, the challenges, and the capabilities being assessed to assemble the largest future space observatories with Drs. Nicholas Siegler (NASA JPL), Bradley Peterson (OSU/STScI) and Gordon Roesler (Robots in Space LLC). Come hear about a new NASA-chartered study that is looking into this potentially enabling capability. Future in Space Hangouts are endorsed by the American Astronomical Society and the American Astronautical Society. For decades advocates of the exploration of the Moon have argued that this will make possible subsequent exploration of Mars. But is this really true? Recently several dozen experts critically examined whether astronaut exploration of the Moon could be used to feed forward to a human mission to the martian surface by the end of the 2030s. Their findings may surprise you. Join Tony Darnell and Alberto Conti as they discuss the findings of a recent Moon-to-Mars workshop with Clive Neal (Notre Dame), Steve Mackwell (USRA), and Joseph Cassady (Aeroject Rocketdyne). Did you know there is an effort underway to actually see the event horizon of a black hole? Right now, astronomers around the world are processing data taken earlier of the center of our galaxy in attempt to see the boundary between normal space and that of Sag A*, the supermassive black hole at the center of the Milky Way. The results are due out soon and this hangout is your chance to learn about one of the most amazing astronomy endeavours ever attempted from Geoff Bower, Chief Scientist for Hawaii Operations for the Event Horizon Telescope. NASA has for decades been assessing options to utilize the resources available in space – often on the Moon and Mars – to sustain long-duration human operations. It will be prohibitively expensive to send from Earth to either location sufficient resources for astronauts to carry out priority mission goals, to say nothing of eventual settlement. With NASA’s human space flight program focusing on lunar operations and technologies to enable eventual human missions to Mars, in-situ resource utilization (ISRU) has become a high priority in NASA’s technology investment plans. Join Tony Darnell and Harley Thronson as they discuss the current status of ISRU with Jerry Sanders and Stephen Hoffman, both of NASA Johnson Space Center. Future in Space Hangouts are endorsed by the American Astronomical Society and the American Astronautical Society. The largest ground-based telescope is now being built on the top of Mauna Kea in Hawaii. The Thirty Meter Telescope (TMT) is a new class of extremely large telescopes that will allow us to see deeper into space and observe cosmic objects with unprecedented sensitivity. The TMT International Observatory LLC (TIO), a non-profit organization, was established in May 2014 to carry out the construction and operation phases of the TMT Project. The Members of TIO are Caltech, the University of California, the National Institutes of Natural Sciences of Japan, the National Astronomical Observatories of the Chinese Academy of Sciences, the Department of Science and Technology of India, and the National Research Council (Canada); the Association of Universities for Research in Astronomy (AURA) is a TIO Associate. Major funding has been provided by the Gordon & Betty Moore Foundation. 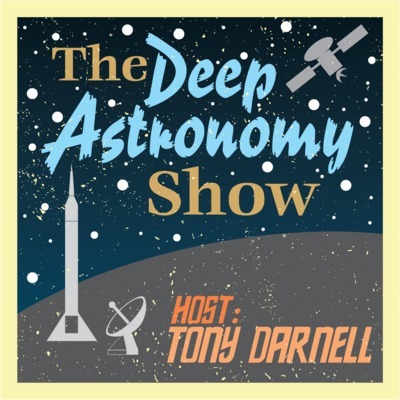 Please join Tony Darnell and Christian Ready as they discuss the status of this project with Dr. Christophe Dumas, TMT Observatory Scientist & Head Operations Department. Had a great discussion yesterday with biologist PZ Myers about the origin of life on Earth. What is our current knowledge of how life began on our planet? Is life easy or hard to make? We also extend the discussion to life on other worlds. The European Southern Observatory (ESO) has been on the forefront of astronomy discovery for decades. They operate telescopes primarily in South America, in Chile, and their astronomers have made groundbreaking observations in exoplanet research, cosmology, black holes, galaxy formation, etc. Please join us to learn about this amazing institution and what they are doing. Clarke Exobelts, appropriately named after Arthur C. Clarke, are belts of satellites around and exoplanet that are in a geosynchronous orbit around it. These belts have distinct characteristics that can show up in space telescope transit surveys looking for planets around other stars. Did you know there is a commercial effort to design robotic spacecraft to go into orbit and repair/replace/remove old, broken and damaged satellites? The future is very bright in space exploration, especially if you're a robot! This week we are talking with Alex Teachey from Columbia University whose recent paper using observations from the Hubble Space Telescope revealed that there might be an exomoon around Kepler-1625b, an exoplanet that itself is rather interesting. HabEx is one of four concept missions being considered for the next generation of space telescopes. HabEx will search for rocky worlds like Earth in orbit around other stars and it will have unique capabilities to detect atmospheres and even the components of those atmospheres. The idea is to look for biosignatures on planets for signs of life! Stop Being a TESS Hater! Super energetic neutrinos can be formed in exotic places, for example the accelerators in the core of galactic supermassive black holes. The IceCube neutrino detector array was built and deployed at the South Pole. The detectors are designed and positioned to find specific particles in a background of myriad charged particles bombarding the Earth. A particular event called IceCube-170922 was detected with an energy of 300 trillion electron volts and pointed back to a specific point in the sky. Join Tony Darnell and Carol Christian during Afternoon Astronomy Coffee on Thursday, 9 August 2018 at 3:00 pm Eastern Daylight Time (19:00 UTC) as they discuss with the investigators, including Erik Blaufussi (University of Maryland), how IceCube works, what the researchers hope to find, and the detection of IceCube-10922. The ORIGINS Space Telescope is one of four concept missions designed to compete as the follow-up mission to WFIRST, which launches after JWST. These missions are a look forward and present promising results to some of the biggest questions in astronomy. Today we talk with members of the ORIGINS Space Telescope Team to learn about what this mission is designed to do. What's with all this Exoplanet Hype? Astronomers are getting as bad as the press these days with making statements that are designed to garner attention than anything else. In this episode, let's talk about exoplanet hysteria. Detailed scenarios for human exploration of Mars have been developed and debated for decades, although many of them have been too technically challenging or unambiguously unaffordable. However, are there scenarios that are specifically developed to be affordable and less technically challenging? We’ll see . . .
Telescope Talk is back! 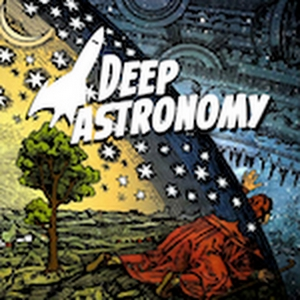 Are you interested in getting started in the awe-inspiring hobby of amateur astronomy? If so, this hangout is for you! Every other Tuesday, we get together and give advice to beginners and advanced amateurs alike to help get them started and improve their observing experience. This week, we discuss imaging with advanced amateur Tom Pickett who tells his amazing story of how he takes images through his telescope. The International Space Station (ISS) has been the first successful step in long-duration human operations in space. If astronauts are to travel eventually to Moon, Mars, and deep space, technical capabilities must be developed beyond those demonstrated on ISS. This is one of the priority goals of the Gateway, a facility and human operations site in the vicinity of the Moon, which in addition offers multiple opportunities for scientific programs that require the presence of astronauts. Please join our Hangout, when our regular moderators, Tony Darnell and Harley Thronson will discuss with Nicole Herrmann and Ben Bussey, both of NASA Headquarters, current plans and schedule for this next step in humanity’s journey into space. Is Climate Change a Great Filter? Is climate change inevitable on worlds with technological civilizations? Is planetary feedback from such a civilization a great filter? Our guest Dr Adam Frank will discuss his paper on the effects of planetary feedback on any possible alien civilizations out there. Could it be possible that many (or even all) technological civilizations out there must face the consequences of climate change brought on by their technology? Does this prevent galactic colonization? Please join Tony Darnell and Adam Frank as we explore this very interesting topic. We invite you to interact with us as well and provide questions and comments! The Search for Planet 9: So, Where is it? Astronomers believe there is an undiscovered super-Earth Sized planet lurking in our outer solar system. If it exists, then astronomers think it would have an estimated mass of ten Earths, a diameter two to four times that of Earth, and an elongated orbit lasting approximately 15,000 years. So far, efforts to find this planet have failed. They are calling it Planet Nine and astronomers are seriously trying to find it. Our guests today have written a paper outlining efforts to locate this planet using WISE and NEOWISE data. They think that Planet Nine, if it exists, should be self-luminous enough and potentially bright enough in the near infrared that the NEOWISE telescope should be able to see it. Today we’ll talk about those efforts along with what WISE and NEOWISE is, why we think Planet Nine is there in the first place, and whether or not it will have any adverse effect on the Earth anytime soon.